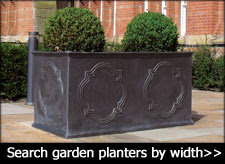 Riverhill Garden Supplies is a business that is serious about landscaping and a specialist retailer of traditional and contemporary garden pots and planters. 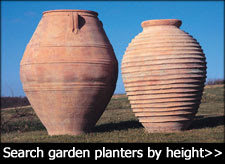 This 2019 season see Riverhill Garden Supplies large terracotta pots on display at the Leeds Castle, Kent, Kew Gardens and the Chelsea Physic Garden on Royal Hospital Road and fibreglass planters in situ at Blarney Castle, Ireland. 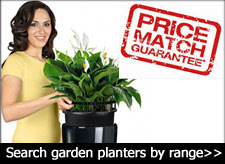 Riverhill Garden Supplies deliver to the United Kingdom and Europe. Please telephone Sevenoaks 01732 522471 Mon-Sat 8am-10pm for more information. 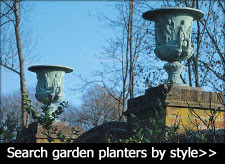 Choose Riverhill Garden Supplies for first-to-market designs, branded ranges including RHS and Laura Ashley, 25 years industry experience, access to £5m stock during peak season, extra-large garden pots and planters, Riverhill Garden Supplies-owned transport vehicles and dedicated customer-focused team. Since 1991 ADEZZ has manufactured sustainable planters, outdoor fireplaces and water elements in Uden, Netherlands. ADEZZ products are 'Dutch quality' and revered by the landscaping community. ADEZZ products have featured in dozens of RHS medal winning gardens and a number of significant commercial landscape designs in the UK and Europe. Riverhill Garden Supplies are the leading retail supplier of ADEZZ products in the UK and your first call for anything ADEZZ. Bespoke sizes and a choice of RAL colours are available on request. Click here to view all ADEZZ products and here to download the ADEZZ 2019 catalogue.